Most people’s pancreases produce insulin, which regulates sugar in the blood. But for Type 1 diabetics that production stops. Alec had to start buying insulin at a pharmacy and injecting it into his body with a needle. He had to change his diet, which was hard for a 6’4” man with a big appetite. Still, life went on. Alec learned to take insulin. He kept working as a manager at a Minneapolis-area Mongolian barbecue restaurant. He still took trips to Wisconsin to buy cheap fireworks. He was still a father, a brother, a son and a friend. He was living his 20s right until the day he died. Alec’s family thinks he was rationing his insulin, taking less than he needed to try to make it last longer. Rationing is a dangerous practice but one-in-four diabetics admits to having done it. Insulin prices are a big reason why — they nearly tripled between 2002 and 2013, and have nearly doubled again since then. 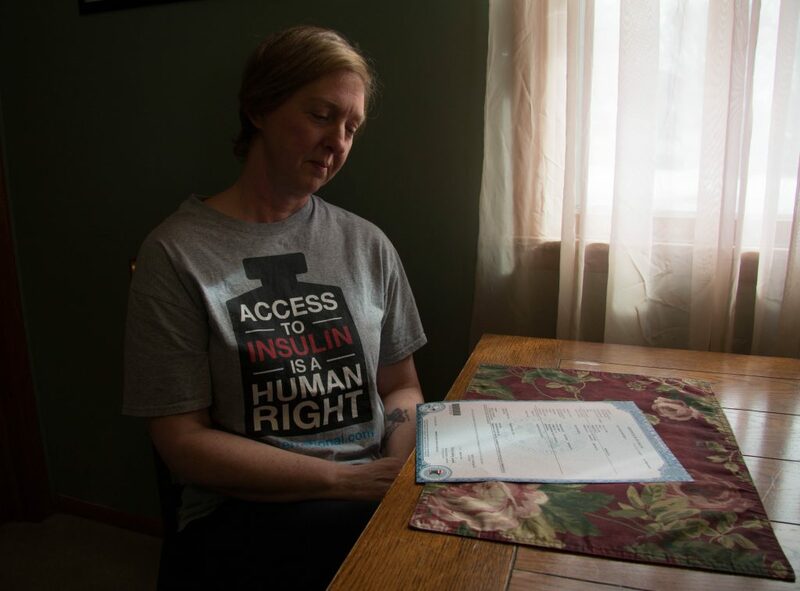 For Alec, the price of insulin became an issue in 2017, when he turned 26 and aged off of his mother’s insurance plan. “He had gone to the pharmacy prior to losing my insurance to get an estimate of how much he should plan for when they told him $1,300” per month for his diabetes supplies, Smith-Holt remembers. Most of that was for insulin. His insurance options were not much better. His $35,000 salary was too high to qualify for Medicaid and too high to qualify for insurance subsidies. What he found was a plan that cost $450 a month in premiums with a deductible of $7,600. “At first he didn’t realize what a deductible was,” Smith-Holt says. She says Alec figured he could pick up a part-time job to help cover the $450 monthly premium. Then Smith-Holt explained what a deductible was. “You have to pay the $7,600 out of pocket before your insurance is even going to kick in,” she recalls telling him. Alec decided going uninsured would be more manageable. “That’s a hard decision to make. If I was in his spot I’d probably do the same thing,” Smith-Holt says. Alec died less than one month after losing his insurance. He’d used up all of his insulin. His mother thinks he was trying to make it to his payday so he could buy more. He died three days before. “He didn’t even get to go the pharmacy one time to pay the $1,300 out of pocket,” Smith-Holt says. There are many reasons why insulin prices are rising so high. Patents have pretty much kept generics off the market. Middlemen in the supply chain take their cuts. For Smith-Holt and a growing number of activists, like T1International, much of the blame falls on the three insulin makers who dominate the American market: Sanofi of France, NovoNordisk of Denmark and The Eli Lilly Company in the U.S. In fact, the three companies are being sued in the U.S. federal court by diabetic patients in Massachusetts who allege the prices are rising at the expense of patients’ health. The Eli Lilly Company didn’t make anyone available for an interview. But a spokesman pointed to the rise of high deductible health plans as to why more patients like Alec end up paying higher prices. “Insulin was created almost 100 years ago. Prior to that the diagnosis of Type 1 [diabetes] was a certain death sentence,” Nicole Smith-Holt told a committee of U.S. Senate Democrats in Washington D.C. in August. So far there hasn’t been much change on insulin prices from the industry, from Congress or from the Trump administration. Smith-Holt hopes that sharing her son’s story can help change that. Previous post: Battling Drug Addiction: What Comes After Detox?